API 5L X 52 N – MOD. 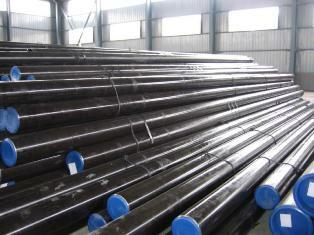 Carbon Steel Line Pipes are steel pipes which utilize only carbon as an alloy. This carbon is used in the steel in different proportions for different purposes and applications. There are basically two types of carbon steel pipes, high carbon pipes and low carbon steel pipes. The high carbon steel can be easily molded and shaped because the effect of heat on it is very strong. As compared to the lower carbon steel the high carbon steel is sturdier and hence can endure all kind of extreme conditions. Because of these features carbon steel line pipes have high demand in the industrial sector. Although you can get the carbon steel line pipes from almost everywhere, it’s very important that before you buy the pipes you check the authenticity of the supplier. That’s because with so many suppliers in the market, it becomes very difficult to find a trustworthy and reliable supplier.